In celebration of America Recycles Day, Tompkins County Recycling and Materials Management (TCRMM) and Challenge Workforce Solutions partnered to offer a free Confidential Document Shred Day. 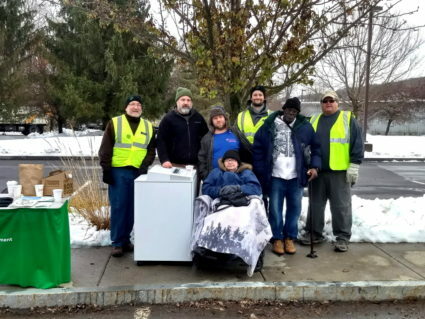 With similar events occurring only in the Spring and Summer, the two organizations wanted to offer residents a way to safely recycle their documents in the Fall. The event took place in the TCRMM office parking lot from 9 am-12 pm on Saturday, November 17th. A total of 67 cars stopped by the event to drop off their documents for shredding and recycling. By the end of the event, 1,392 pounds of paper were collected. TCRMM would like to thank Challenge for their partnership in this effort.